Rich in tradition, the Aria Luxury Mask - Black is a celebration of the famous Venice Carnival & a must for all luxury mask lovers. Show off your romantic side with this stunning Aria Luxury Mask - Black Edition from Simply Masquerade. 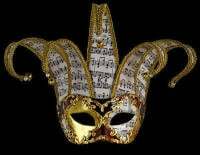 With a modern and contemporary design that is certain to capture anyones heart this stunning masquerade mask features faux cut onyx stones nesting among classic nero black baroc scrolls that guarantee to have the most amazing sparkle and fire due to their perfect cut. 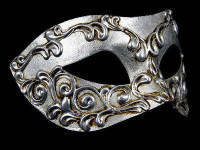 Elegant and sophisticated you will want to wear this beautiful mask at every opportunity and will treasure it forever. 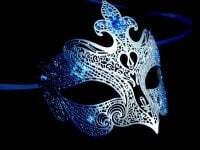 Like all the masquerade masks in the Simply Masquerade Luxury range this mask is handcrafted & we think you will choose and enjoy wearing it for its stunning appearance and elegance. Rich in tradition, the Aria Luxury Mask - Black is a stunning celebration of the famous Venice Carnival - A must for all luxury mask lovers.